Episode 112 - "I'm afraid so. You're entirely bonkers. But I'll tell you a secret. All the best people are." - Alice. Join our host Jenn, with Justin, Elizabeth, Jared, and Joe as we continue or series on Disney Classic Animation movies. 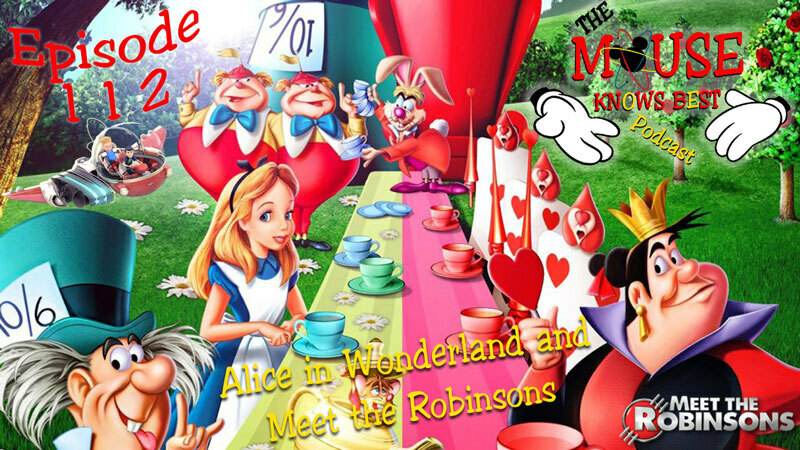 On this episode we celebrate unbirthdays with Alice in Wonderland and the futures today with Meet the Robinsons. "All right, Lewis. Knock em' dead. That was a figure of speech. Please don't kill anyone." - Mr. Willerstein. Thanks for listening.